Today’s Flash Back Friday comes from Episode 84, originally published in March 2012. 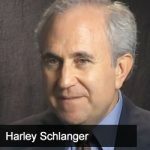 Join Jason Hartman for an interesting interview with Harley Schlanger, the Western States Bureau Chief for the controversial and interesting LaRouche Pac. Harley defines the purpose of LaRouche Pac, describing it as based on the intersection of philosophy, history and science, looking at economics as physical processes and not just monetary. Lyndon LaRouche stands for a sovereign state in the United States and has been warning of the smoke and mirrors politics that have been going on since the assassination of John F. Kennedy. Harley discusses the deregulation that has been going on in this country for years, as well as many of the predictions that LaRouche Pac has made that have come true or are in the process of coming true, including the stock market crash in the ‘80s, the era of speculation that began with the end of the Glass-Steagall Act, and the freezing and collapse of the banks most recently. Jason and Harley talk about the environmental movement and who profits, the disappearing middle class, and the loss of production in the United States with NAFTA. Harley says we’ve lost the understanding of wealth, citing examples of production going offshore, energy production going back to solar and wind power, and how we don’t even consume most of what we produce because it’s shipped overseas. Harley lists many ways that our physical economy can be improved and protected, which could bring the United States back to a self-sufficient state. The future of government economics?